Flexible packaging is evolving almost as fast as films roll off the machinery. For the food and beverage industry, this means more choices, more solutions, and packaging that can adapt quickly to the tighter and more ecologically-aware needs of everyone in the supply chain. Trends in flexible packaging lean toward creating better solutions. What are the current pain points in food manufacturing and how can the industry help solve them? Flexible materials are already known for certain characteristics, such as strength and lighter weight in a comparatively compact size. The horizon promises improvements on those and other fronts. Food manufacturers that previously resisted the switch to flexible packaging have more reasons to revisit it. Flexible films and manufacturing technologies are advancing quickly with more and better materials available. Film packaging manufacturers offer a variety of simple and complex films for different products. For more challenging food products, laminated films combine the benefits of two or more materials, such as oxygen and water vapor barriers. With custom packaging dimensions, you get a solution that is not standard but tailored to the manufacturer’s needs and the product’s requirements. Canadian Packaging says this dynamic nature is what makes flexible packaging poised for more industry growth. One of the initial concerns about flexible packaging is becoming less of an issue all the time. Recyclability was a stumbling block for some materials and the manufacturers that might have used them. That is changing with a push for more eco-friendly flexible packaging choices and research exploring alternative materials. 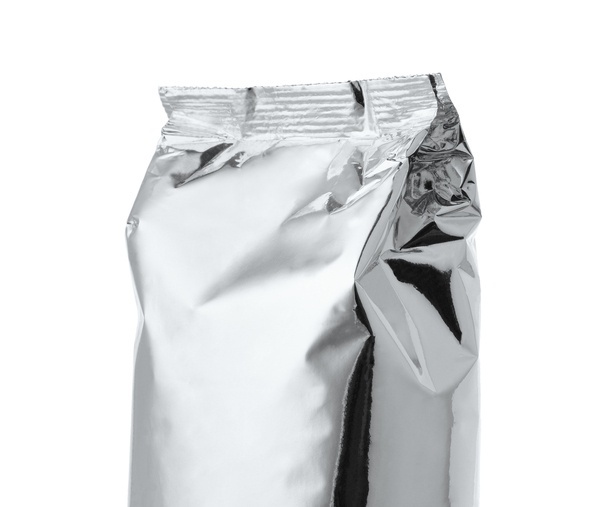 Metallized films upgrade flexible packaging to resist moisture, oxygen, and other contaminants. At the consumer level, there is a growing demand for fresh, convenient foods with lighter, stronger, and smaller packaging. Plastics Today suggests that meeting this demand determines whether or not food manufacturers can stay competitive. Green practices demand packaging that is less of a burden on the environment. Downsizing with flexible materials helps manufacturers meet stricter guidelines and reduce the carbon footprint of everyone in the supply chain. Firstly, flexible packaging is smaller than comparable rigid packaging so it needs fewer raw materials. Secondly, manufacturing is much faster so fewer emissions result from the manufacturing process. Canadian Packaging says, "Manufacturing 780,000 flexible pouches consumes 87 percent less coal, 74 percent less natural gas, and 64 percent less crude oil in comparison to the manufacturing of rigid clamshell packages." The flexible packaging industry growth is supported by its versatility and adaptability. If a product changes, flexible packaging can change to keep up with it much more quickly than rigid packaging. If product use or storage conditions change, flexible materials keep up. Consumer demand might be a driving force behind research, development, and wider implementation in flexible packaging. However, the benefits for the food manufacturing supply chain cannot be overstated. If you are ready to learn more, contact us for a free sample and download our corporate brochure today!